The second installment of our “winter plumbing tutorial,” will focus on your role in dealing with or avoiding all together the issue of frozen pipes. 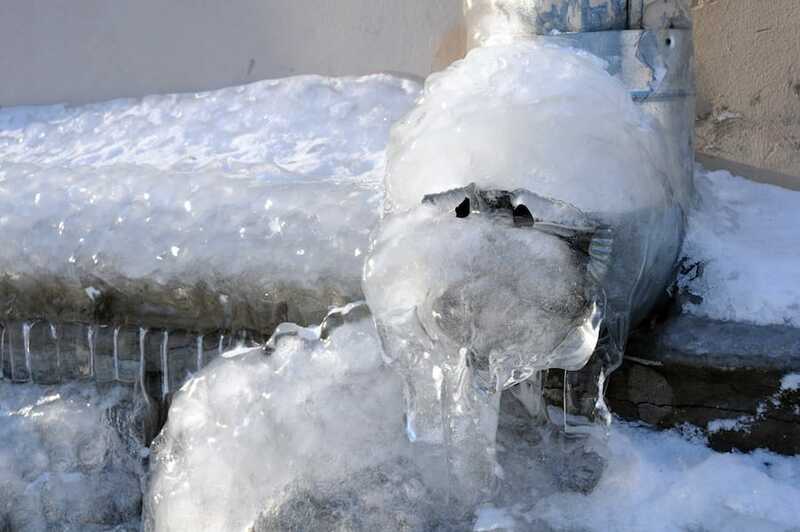 We all know that as the fall months of October and November turn over into the frosty winter months of December and January here in North Carolina, there is still a chance of winter plumbing hazards, but thanks to the most trusted name in Raleigh professional plumbers, Poole’s Plumbing, you can follow the easy steps belows listed below, to try and steer clear of a costly catastrophe as you Thaw and Avoiding Frozen Pipes. Case in point that we are not yet completely “out of the water,” when it comes to needing to know the proper steps to take to Thaw and Avoiding Frozen Pipes is the recent colder weather we have seen in the past two weeks that has dipped at night below 40 degrees and even into the lower 30’s. Your pipes can freeze once the temperature does drop to 32 degrees Fahrenheit and those most vulnerable to the possibility of freezing would be any located in a basement area, a crawl space, an unconditioned or unfinished attic, those located on an exterior wall, and even pipes located underground. When looking at it in those terms, pretty much any homeowner would have some type of piping in one of those location, thus, the Raleigh plumbing experts at Poole’s Plumbing can assist you with a few key pointers to Thaw and Avoiding Frozen Pipes at each location you may have them. If you happen to turn on a faucet and no water pours out, it could be due to a blockage caused by ice and in each given location, these following “do-it-yourself” tips could prove priceless in avoiding disaster. The easiest and safest method with these pipes is to turn your thermostat up and wait for them to thaw. Never leave your thermostat below 55 degrees in any situation, even if going out of town or on vacation for an extended period of time. By following these easy to do, at home tips from the pros at Poole’s Plumbing, you can not only Thaw and Avoiding Frozen Pipes, but you also can avoid serious water and financial damage with very little preparation or effort.